Lots has happened in this week's news. Finally, the nation has got fed up of Mason Noise and he's been voted off the X Factor. Yes, all of the YouTubers turned up on the red carpet, including Zoella, Tanya Burr, Marcus Butler and Alfie Deyes, amongst many, many others. We'll be reviewing that film soon, when we've actually seen it, but it looks amazing from the trailer. Now, on with the main news. 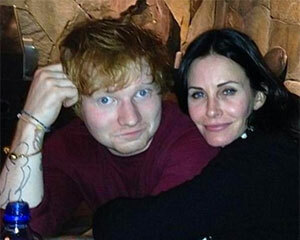 Lovely ginger singer Ed Sheeran recently told Radio 1 DJ Scott Mills that it was complete nonsense that he was going to marry Courteney Cox, that is, perform her wedding ceremony. Courteney, best known for playing Monica Geller on Friends, is best buds with Ed and neither have any idea how these rumours got started. So, sorry about getting that wrong in podcast number 5. All the newspapers got it wrong as well, so we were in good company. Rumours are already circulating about the new Apple Watch, which is thought to be coming out in the summer. The next generation of this amazing watch is thought to be getting a better battery and a front-facing camera, which will allow selfies and perhaps even face timing with iPhones. And still on the subject of mobiles, Grumpy Alan Sugar off of The Apprentice recently moaned at BBC bosses that Nokia phones were being used on Eastenders, his favourite soap opera. Concerned about product placement, Eastenders bosses have now told the actors to cover up the logos on their mobiles. Maybe that will put a smile on Lord Sugar's face at last. 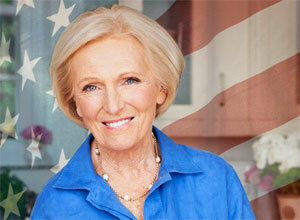 Mary Berry is busy in America at the moment and her new show is about to air in the US next week. It is called The Great Holiday Bake Off. Mary is shown making a woman cry when she judges her cookies. The woman is crying tears of happiness though, because the bake-off Queen said her cookies were perfect. The show is described as a 'Delicious four-week baking event'. One to look out for, perhaps. Sadly silver-fox Paul Hollywood is nowhere in sight though. Stars like David Beckham and Ed Sheeran are famously big fans of body art and tattoos. However, let's hope that they don't join the next trend and get their eye balls tattooed. Despite being extremely painful and possibly causing blindness, eye tattoos seem to be on track for the next trend. It involves injecting ink directly into the white of the eye. Sounds gross. Lovely pop princess Taylor Swift has been causing outrage in New Zealand this week, when she popped down under to film her latest music video. 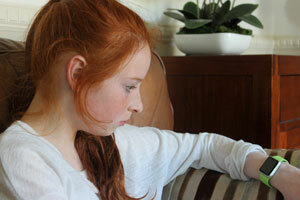 She was filming on a beach, close to Auckland, which is home to the endangered 'dotterel' bird. Her film crew drove their vehicles all over the beach, and Radio New Zealand said that it was very disappointed in her behaviour. Let's hope that the video was worth all that fuss and nonsense then Swifty.